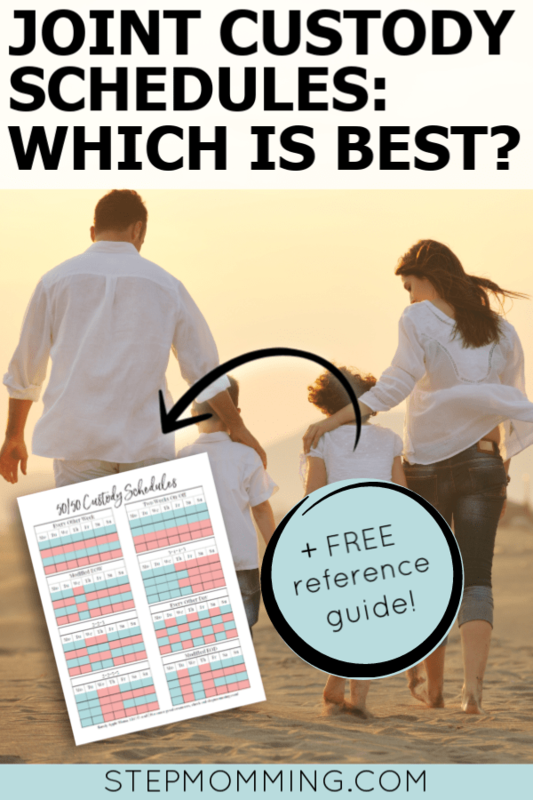 You are here: Home / Co-Parenting / Custody / Joint Custody Schedules: Which 50/50 Schedule is the Best? “Children are not a distraction from more important work. They are the most important work.” – John Trainer. Making memories with our children is the absolute best use of our time. 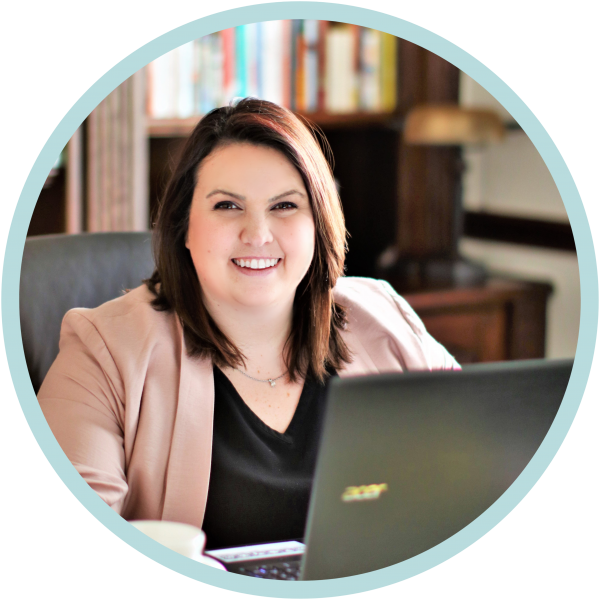 But after divorce, when it comes to actually choosing how you’ll schedule that time with your children, it can be overwhelming! There are so many factors to consider: extracurricular schedules, communication and coordination with your co-parents, duration of time apart, and ample time for quality time spent together. When you’re at a crossroads in your custody negotiations and are reviewing joint custody schedules to determine the best fit for you and your family, you want to make sure you get the decision just right. One misstep and you could end up with an inconvenient schedule and a boatload of regret. Take the guesswork out of the evaluation and review ratings of eight of the most common joint custody schedules. I’ve taken each of the most common joint custody schedules and rated them based on 4 measures, detailed below. Ratings are from 1-5, with 1 being the lowest (least optimal) and 5 being the best (most optimal) rating. 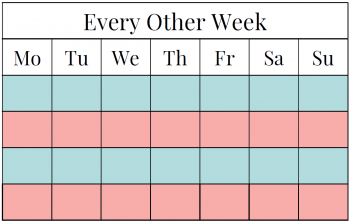 Will you consistently have your stepchildren on the same days each week? Or the same weeks each month? This is important for extracurricular activities that require practice or games on a certain day of the week on a recurring basis. If you and your co-parents get along swimmingly, this isn’t a factor you really need to worry about. If things are even sometimes tense, fewer hand-offs (or transitions that occur during school hours) are preferable. Similarly, with every hand-off, there is communication (school assignments, announcements, etc.). This rating will be higher if there’s less communication required. How well does the custody schedule allow you to get into a good groove? Are you just starting to get back into your daily routine when the next hand-off comes up or are you really able to get into a solid routine with each visitation? How many days are between visits? Ideally you wouldn’t have to go too many days at a time without seeing your children, so this is factored in under droughts. 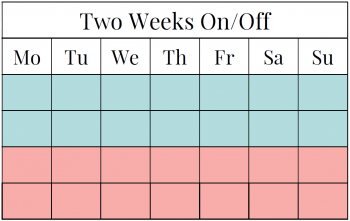 The week on/week off joint custody schedule is great for older children. It allows enough time to get in a good groove with minimal communication or hand-offs; however, time between visits is long and doesn’t allow for a weekly extracurricular activity without cooperation between homes. 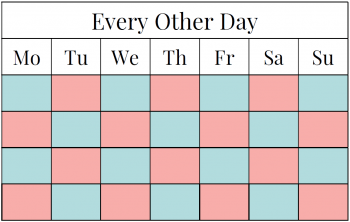 You’ll never go more than 3 days without seeing your children with this schedule, but the mid-week overnight could cause a hiccup in the routine you’d established for your week-on. 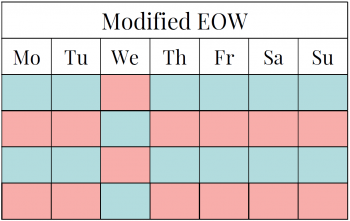 This schedule requires a little more communication than week on/week off, but it’s still minor. With a 2-2-3 schedule, you’ll never go more than 2-3 days without seeing your children, but there’s also not much of an opportunity to ever feel settled in. 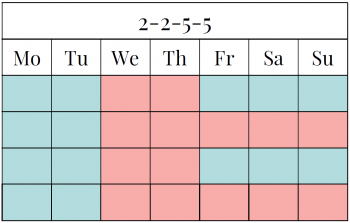 This schedule requires 3 hand-offs a week and more communication, and you don’t have the same days each week, which could cause complications for extracurricular activity schedules. With this schedule, 2 days can be too short to really get in a good groove with your house rules and routine, and 5 days can feel too long without seeing your little ones. But having the same two week nights each week really helps to schedule extracurricular activities. 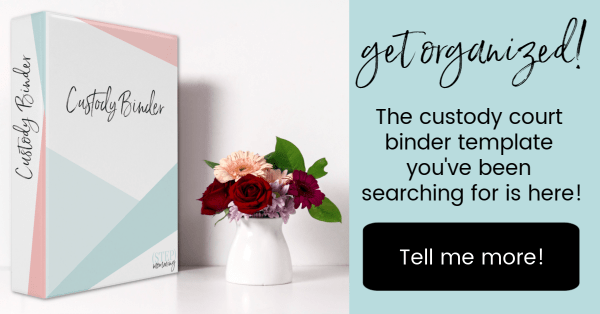 Looking for minimal contact and equal time that allows you to get into a good routine with your children before they head back to their other home? Two weeks on, two weeks off is for you! You’ll go longer without seeing your children between visits, but you’ll also have more quality time with them during your time on. 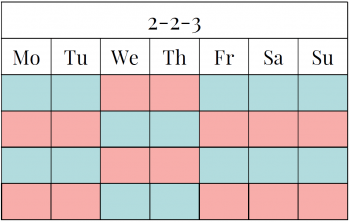 The reliability of this schedule is a dream, and you never go more than 3-4 days without seeing your children. 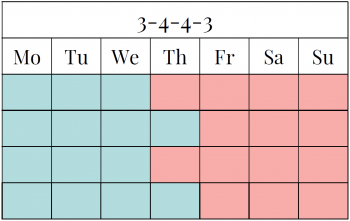 A word of caution, getting equal real time with a 3-4-4-3 split can be difficult if you have school-aged children who aren’t home Monday-Friday; with a 3-4-4-3 schedule, one parent always has one weekend day, and the other weekend day can alternate. 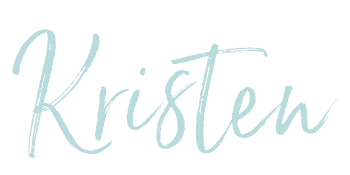 If communication isn’t an issue with your co-parents and you’re anxious about spending time away from your littles, this is the schedule for you. If the children are older, you require a good routine, rules aren’t 100% aligned between mom’s house and dad’s, or communication isn’t flawless between parents, this could be difficult to maintain. 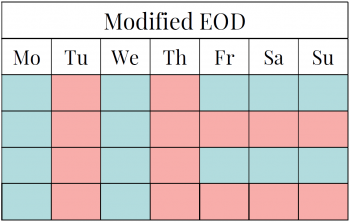 This modified every-other-day schedule is great for parents of littles who don’t want to go long times without seeing their children but still enjoy uninterrupted weekends. Communication and hand-offs are frequent during the week, but it means you end up seeing your children almost every day. Each schedule has its flaws, and each schedule has its perks. There’s never a one-size-fits-all solution to stepparenting or co-parenting, and the only right decision on joint custody schedules is the one that works best for you and your family. You’ll never regret spending more time with your family, I can bet you that. P.S. Do you want to suggest a change to the custody schedule, but are nervous for how it may be received? I can totally relate. Here’s why I suggested we change our custody schedule.